It was in the mid-upper 80’s all weekend! REALLY rare for early March! 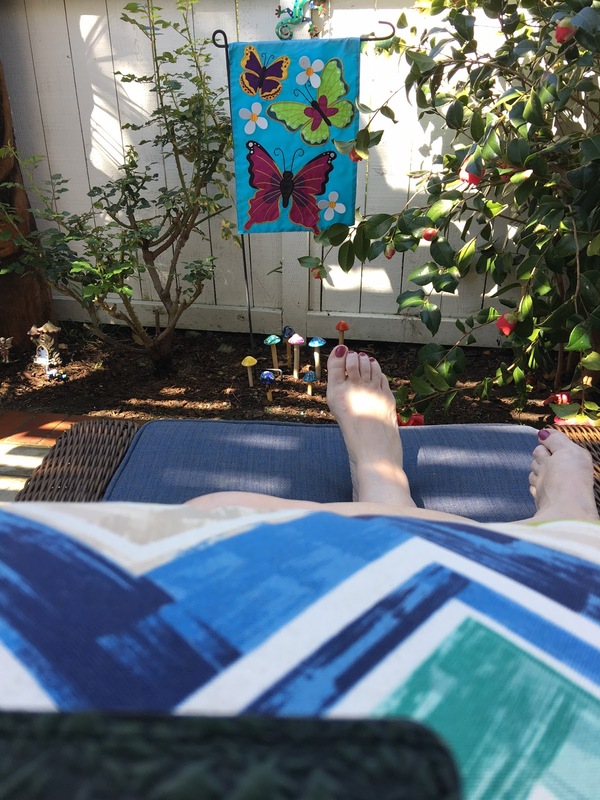 So I took advantage of it yesterday; pulled the patio cushions out from under the ping pong table in the garage, set it up, grabbed my Kindle, and enjoyed a few glorious hours yesterday afternoon in the warm shade, reading. Life is Good. This entry was posted in Uncategorized on March 13, 2017 by Silver Willow. Still a little too cold for me to do that but soon hopefully. You make me jealous. as we wait for a snowstorm this evening in Toronto! As I look at the two foot piles of snow in my yard……..
Wow, I'm jealous, too. I wish we had patio weather! I'm looking at snow outside. Lucky you! It looks like you enjoyed every minute! Eighties here yesterday, too. Bad luck though, we stayed in all day painting! Glad you enjoyed the day and got your share of vitamin D! Oh, that is lovely! We have snow and cold here. Could you send us a little warm weather? Look at your lovely red toenails 🙂 they look good. We are having good warm days down here for March, unusual too. I've heard that the weather really warmed up in your neck of the woods. We've got lots of vog right now. I did the same here this evening but couldn't get a decent picture. It's been in the mid 80's for several days and I LOVE IT! Nor'easter of snow and ice here. I'm jealous. I've been enjoying similar weather, but look forward to some rain early next week. Am hoping we don't get too much heat too early in the year here in So Cal.